Lori Pruitt, who has a solo legal practice, recently volunteered with the Southeast Immigrant Freedom Initiative (SIFI), a project of the SPLC that enlists and trains lawyers to provide free legal representation to detained immigrants who are facing deportation proceedings in the Southeast. The following is a set of entries in her personal log, about her pro bono work helping detainees with SIFI. This week, I am at Stewart Detention Center in Lumpkin, Georgia, volunteering with the Southern Poverty Law Center’s Southeast Immigrant Freedom Initiative (SIFI). I thought that this week, I would share little notes about the group, our activities and my thoughts. First comment: There is very little cell phone coverage down here, about 45 minutes south of Columbus, Ga. So while I am writing comments each day, getting to a reliable, secure wireless connection to share what I have written may not happen. Second comment: It doesn’t really matter that there isn’t cell coverage here because my cell phone shorted out on Saturday evening, just as I was leaving to drive down here for a week, which actually isn’t that bad because – [see comment one] – there is no cell phone service here. What stayed with me after all of those experiences is that I continue to do things that make me afraid, and it’s OK. Resisting isn’t easy, and it takes a new kind of courage to speak up, to act. I am doing something scary – but I am encouraged that the more I resist, the more I find others who are like-minded and also resisting. And each little step I take gives me courage to take the next to speak up against injustice, prejudice, misogyny and inequality. When I first pulled up to Stewart on Sunday afternoon, a couple of young men were out front taking a selfie in front of the gate, smiling. That scene set my expectations for the week – maybe a bit overoptimistically. Monday, we hit the ground running with immediate assignments at Stewart. But assignments at Stewart don’t prepare you for what visiting Stewart is like. It’s a medium-security prison, so no phones, no computers, no bottles of water – we can only bring pieces of paper back to meet with our clients. 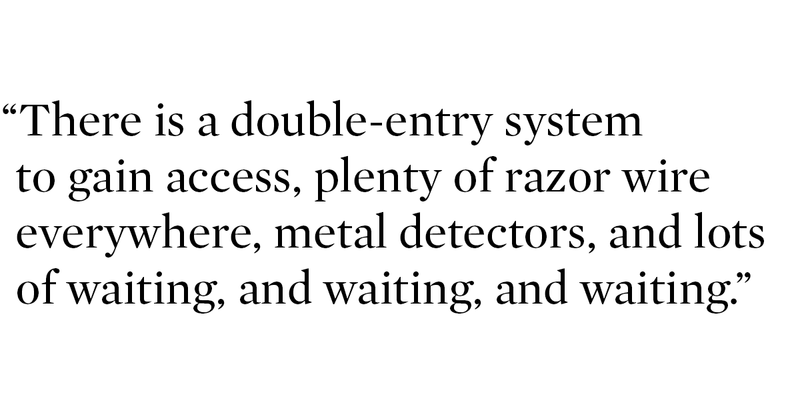 There is a double-entry system to gain access, plenty of razor wire everywhere, metal detectors, and lots of waiting, and waiting, and waiting. Finally, we head back to meet our first client. As we go through the bars and the double-access door slides open, I see the tiny room where we are supposed to interview our client. As the sliding bars clang shut and the door to that tiny room opens, I feel a panic, a claustrophobia that I haven’t felt since the “Great St. Louis Arch incident of 2013,” trying to ride to the top of the arch in St. Louis in one of those tiny pods! Trapped! Thoughts of myself quickly faded when I met our first client, barely 18, who was at Stewart because he participated in a simple kid’s prank at school. That afternoon, I tried to talk about this kid who is fighting to stay here with his mom and siblings, a kid who will most likely not be allowed to stay but will return to his home country alone, and I couldn’t do it without choking up. I am learning that all of this is part of the SIFI project – the stories are often difficult; the situation is discouraging – we are here to do lawyer work. Some days, the lawyer work we do is to bring compassion and understanding to someone who is lost in the system, even if we can’t walk him out the door with us when we leave. As Day 2 here with the SIFI project wraps up, I am beginning to sense a theme. We all seem to be here because, simply put, this is something we can do. I struggle every day with the helpless feeling, watching the crazy spin around me, and I wonder how do I step into the vortex in a way that makes any difference? It seems I am not alone. I am learning that every one of us has something that we can do – this just happens to be mine right now. And for my fellow volunteers for the week – three generations of Reys who changed the course of their family history when the first Rey came to the U.S., now with children and grandchildren, two of whom also thought this project is the “something” that they could do to help; and another white female who works with an educational reform non-profit who traveled from New York to volunteer – and for those who are working here day in, day out on this project, who stay in Lumpkin when we go home, for all of us, this project – the Southeast Immigrant Freedom Initiative – is the thing we can do. There is also a huge benefit to participating – a benefit that may not matter to blue-state people, those who regularly spend time around people who are also progressive thinkers. But it’s huge for those of us in entrenched conservative areas. Here, I am surrounded every day with people who think like I do, who understand issues in a way that I also understand them. I am coming out of hiding and finding a tribe. This daily engagement feels immediately comfortable, even though the work and the issues are hard. Being around others who understand and want to be involved is exciting! I have been in what has been described as “bunker funk” for a while – hunkered down, unsure of when or where I could speak freely. I am not trying to create an “us vs. them” worldview here. As a former city councilperson, I understand that compromise, common ground and negotiated solutions are a reality in a complex world. I simply stopped having conversations when I was so often clearly not in the majority because of the rigidity and unmoving conservative positions, and the basic meanness of the resulting dialogue – it felt more like “me vs. them.” I still struggle to speak up when I am at home, but here, the comfort of speaking among friends reminds me of my activist meetings back home. But it lasts all day, not just for a couple of hours once a month. 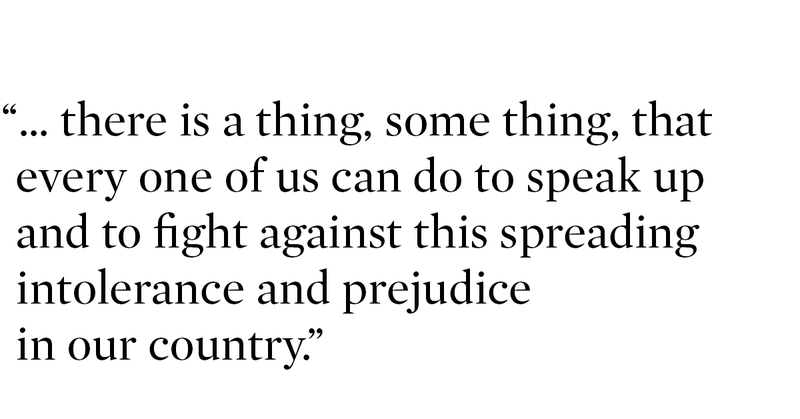 Volunteering for SIFI for a week may not be the thing you can do, but there is a thing, some thing, that every one of us can do to speak up and to fight against this spreading intolerance and prejudice in our country. Day 3, yep, still in Lumpkin, Georgia, spending my days at the Stewart Detention Center. This is really crossover day. Driving into Lumpkin from Columbus, I am thinking about my clients, not today’s stressors. I understand what my day holds, and I am on my toes enough to request a letter allowing an interpreter to accompany me in the visitation room with my clients (most of them speak other languages). I am also beginning to think ahead to next week when I will be back at home. So, of course, the day brought more lessons for me. My legal lessons for the day are, first, always bring that manila folder that Erica gave us on the first day. It has our office address and all of the important phone numbers, and, no, I couldn’t remember the office number when I needed it. Why did I need it? 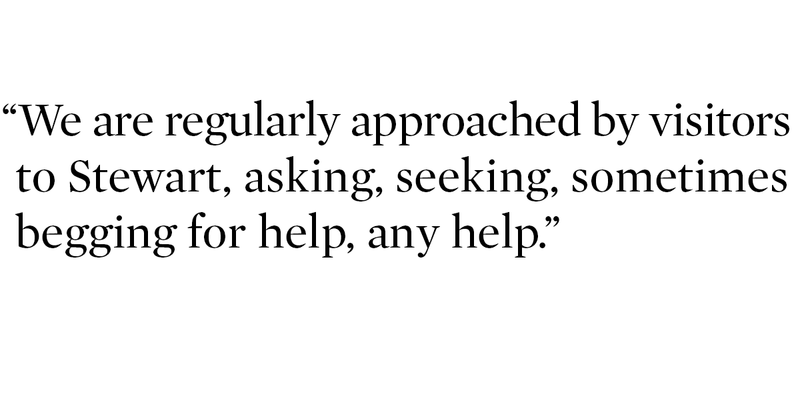 We are regularly approached by visitors to Stewart, asking, seeking, (sometimes) begging for help, any help. We encourage them to call the office to start the process to see if the SIFI project might be able to help in their situation. Each time I was at the detention center today, we ran into a woman who had driven from South Carolina with her 8-year-old daughter and her elderly father for the day. They were there to file for a bond for her mentally disabled husband, who had been detained and sent to Stewart. She was frustrated in the morning when the court would not permit her to file a bond motion. She was angry mid-morning, after she had waited for several hours to visit with her husband, whom she had yet to see. She was livid mid-day after she had spoken with several detention center employees and several visiting attorneys, and was beginning to understand that the center would not be releasing her husband today. She was in tears by the afternoon, faced with the decision of whether to find accommodations somewhere for the night and try again tomorrow, or drive back to South Carolina, unsure of what was happening to her husband. She did not know what she needed to do, or even whether she would be able to see him again. Unfortunately, this scenario is not unusual, so I need that manila folder with our information every day. The second lesson is to bring plenty of paper. This is a paper-only practice. I am getting good at keeping paper notes, though it has been a very long time since I have had no access to my phone, my iPad, or my computer for hours every day. I am a technology lawyer, after all. One of my fellow volunteers is a coder. We can only bring ID and a car key into the detention center. Allegendly our electronic devices are too great a security risk, so we write everything down, take detailed notes, and then, when we are back at the office, we input everything into our tracking system. Working for only a week on the ground, with rotating volunteers, we must track and document everything going on in a matter, because we know we won’t see this file again. However, someone else will, and they need to be able to understand what has happened so far. There is a lot of down time, waiting to see clients each day. I use that time every day to write my posts, and work on what I can without any technology. I still never seem to have enough paper. I need to bring more. To gain more insight into this situation, it might help to read this Atlanta Journal-Constitution article that just happened to be published today, Day 3. I used my actual bar card this morning for the first time in 27 years. I have had the same one since I was admitted to practice law in 1990: just a little, laminated business-sized card with my name and a number on it – no security feature, no watermark or micro-text or holograms to confirm what it says. But I have carried it faithfully for a long time, and I finally put it to good use today. I’ll admit – I was frustrated when security refused to allow me to enter the building without it. My bar card was in the car. Despite providing a photo ID and my official immigration court attorney registration number to the security person working the front door, I still had to prove I was a lawyer to her before I could even enter the building that contains the waiting room leading to the holding hall and the four courtrooms. Today, I got to be a real lawyer, sitting through bond hearings and hoping our client would be granted bond (knowing the vast majority of detainees are not granted bond) I heard what seemed like an endless series of stories that can only be described as “worst-case scenarios” for the men detained here. One involved a chubby-faced, youthful kid who was pulled over after a school party, and was charged with DUI. Now, he will be going back to Mexico, though he has been in the U.S. since he was a small child. 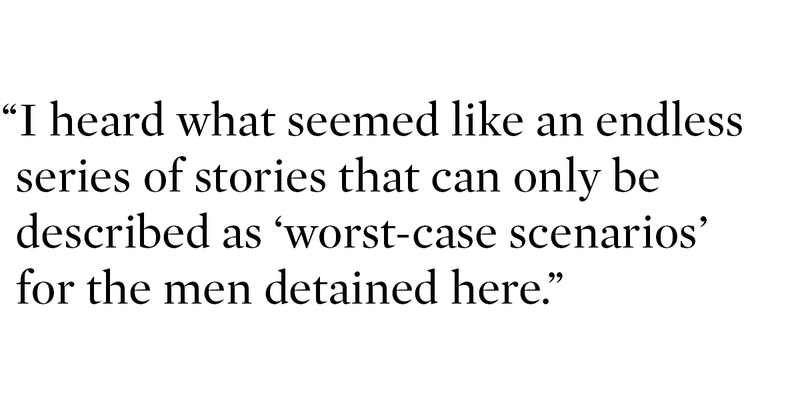 Another story involved a dad who was detained on his way to a court appearance for a minor misdemeanor that, of course, was never heard because he was arrested on the way to the hearing. That unresolved charge is now the “crime” that is being used to justify his detention and deportation. This is a man who has been in the U.S. for almost two decades. He was detained when he went in for what he thought was a regular reporting session with a U.S. Customs official, which he has done regularly for years. He will now be deported. There just aren’t a lot of happy endings here. For us, our client’s hearing was continued – the judge himself suggested a new reason to require mandatory detention for our client. I am sure the prosecuting attorney was grateful for the extra help on her case. (Sarcasm. Couldn’t resist.) We didn’t lose, but we didn’t win, either. It’s another blow in a battle that has left this kid (yes, he’s just a kid, only 18) scarred and battle-weary, locked up in a prison, because he played a prank in high school. As I am leaving the detention center today, I notice, for the first time, the blooming hibiscus outside the razor-wired front door. Oh, the irony. Well, here I am driving into Lumpkin, Georgia, for the last time, unless I come back (Spoiler Alert: I expect to come back.) How do I reconcile all that I have seen this week? We talked yesterday at our daily afternoon status-and-wrap meeting with the SIFI staff, not just about the detainees, but also about the staff and management of the for-profit company running this prison. Most of these men are caught in a system that is spinning too fast to keep up with the new “policies” that it is charged with implementing. Their entire lives and that of their families are thrown into chaos for a purpose that seems unclear and unproductive. Many of the employees at the detention center are people of color. They live in depressed economic areas and are grateful that there is viable employment available locally – that’s a rarity in some of these small, South Georgia towns. Do I fault them for taking a job that puts food on the table? Then, there are the officers and managers of the company that runs this prison, who are working to build more prisons, to make more money, and who smile down from their headshots on the prison walls where we enter. The for-profit prison industry is already a problem in this country, and it has now expanded into the immigration detention arena, where it looks to keep growing. How do we reconcile this terrible situation that our country has created, and seems to be making worse each day? Can we extrapolate from this situation to others that are plaguing us right now? Perhaps, the way we have dealt with this situation might make a good model for tackling others that are facing our nation. 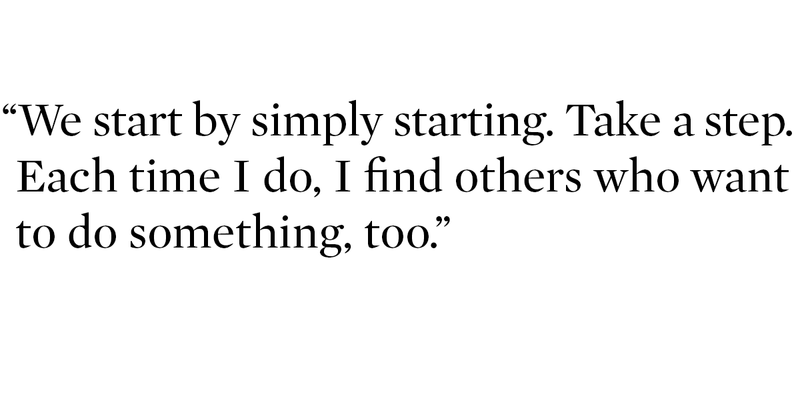 We start by simply starting. Take a step. Each time I do, I find others who want to do something, too. Look at this program: it started with an acknowledgement that something wrong was happening, and, as lawyers, there was something we could do about it. This program is growing in scope and in participation. We are all a part of what is going to become the largest, on-the-ground prison detention representation program in the world. All because people just like me, just like you, decided to do something. We are seeing cities, states, corporations, media and individuals simply saying that this is not right, and there is something that each of us can do. Grassroots, ground-up, we are organizing in new ways, finding each other, resisting. So, as I pull into the gates at Stewart for my last on-the-ground day of this assignment, I give myself my usual pep talk to ease my nervousness. Shake it off, Lori. You can do this, Lori. You are infinitely better here, helping, than sitting at home doubting that you can do anything of value. You are providing help, Lori. You are providing hope, Lori. Let’s do this. Lori Pruitt is the owner of Lori Pruitt, Esq., where she practices intellectual property, technology and global procurement law. She has had her own successful solo practice for over a decade. With an undergraduate degree in communications, and a Juris Doctor with distinction from Emory University School of Law, she previously served as global counsel for The Coca-Cola Company and as counsel with Alston & Bird. She is a former city council member in Cartersville, Ga., which has over 20,000 residents. She held that position for 12 years. 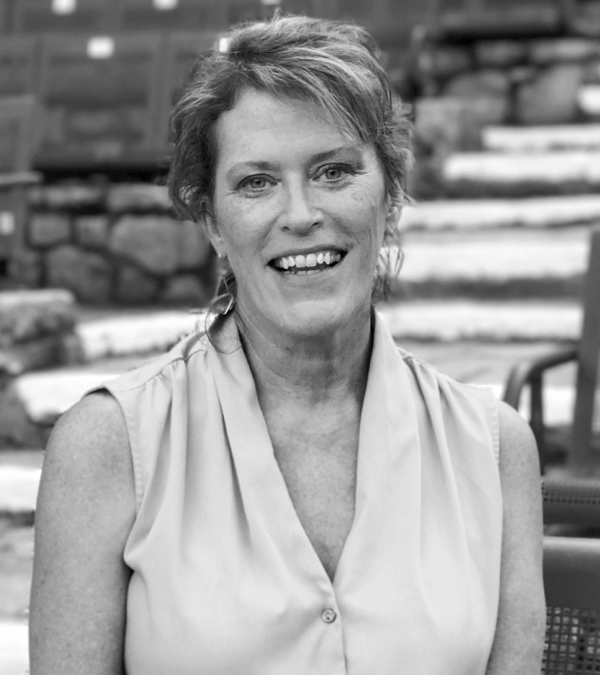 In 2016, after leaving office, she co-founded United Voices, a community-based, progressive activism group in Cartersville.